DS Brain Age (USA) "playaround" in 04:08.1 by Ryuto. Brain Age is a puzzle game designed on the premise of exercising your brain. 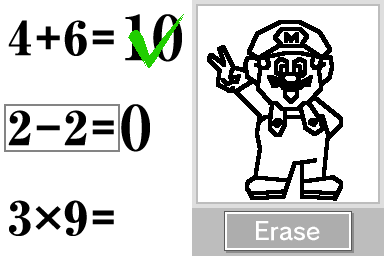 In this run, for example, the idea is to solve a series of simple mathematical puzzles. GBC The Legend of Zelda: Link's Awakening DX (USA v1.0) in 1:00:02.68 by Swordless Link. The Legend of Zelda: Link's Awakening DX is an updated version of an older GB game which adds color, an additional dungeon, various other minor features, and a lot of bug fixes. 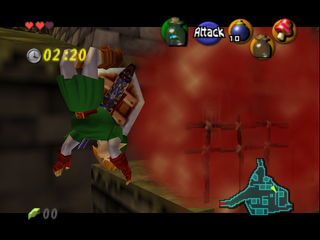 Link, after rescuing Hyrule (again? ), sets off on a journey and subsequently shipwrecks on the mysterious Koholint Island, which has been overtaken by evil monsters which he must defeat in order to find a way back home. Through a wide variety of glitches and general optimizations, this is now almost ten minutes faster than the previous full run of this game. This run does not make use of a form of warp glitching, but still demonstrates that they obviously didn't fix as many bugs as they thought. NES Mega Man (JPN) in 12:23.34 by Shinryuu & FinalFighter. When "perfection" is defined as "as fast as possible", it requires some sacrifices. Indeed, this movie sacrifices a lot in the playability of the game. Full of tricks to pass through walls, tricks to avoid mandatory battles, tricks to pass through enemies relatively unharmed, tricks to acquire weapon refills in little time — there is very little in this movie left that resembles normal playing. Even death is used as a viable playing strategy that saves time. 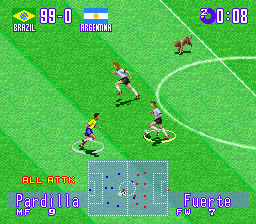 All of the tricks are still performed by the means of mere controller input, even though significant portions of the input were calculated by a computer program. 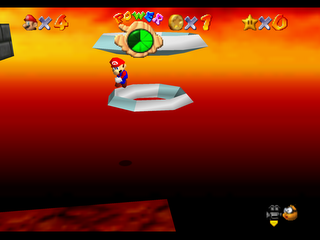 This movie is a considerable improvement of 3:04.39 to the previous movie; this is mainly due to a new technique which tricks the game into calling an 'end of level' object. Of course, upon watching this movie, one does have to question something... is it Mega Man saving the world? 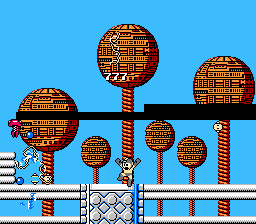 Or Dr. Wily trying to save it from absolute destruction? 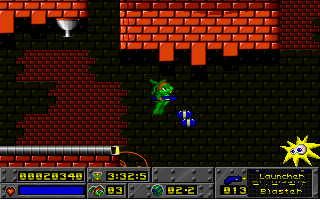 DOS Jazz Jackrabbit (shareware) in 04:43.79 by Ilari. 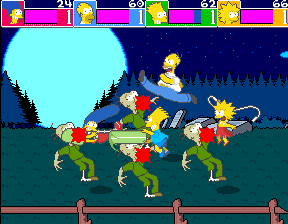 This run completes the shareware version of the game, which only contains the first episode. You can also watch runs from the same author that complete the two Christmas special episodes of this game. PCE Bonk's Adventure (USA) in 24:03.63 by Jerfo. 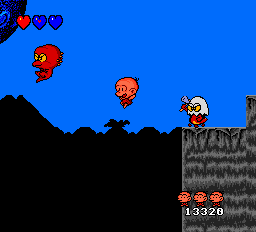 Jerfo completes this quest in only 24 minutes, by making Bonk fly over most stages while he spins himself in the air, bouncing himself on enemies. Make sure you're ready to hear that spinning sound over and over again! PSX Castlevania: Symphony of the Night (USA) "all relics, best ending" in 57:20.6 by arukAdo. 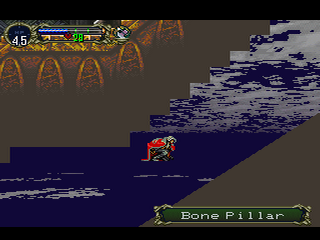 Like most games in the Castlevania series, Symphony of the Night has different possible endings. To achieve the best ending, one must explore at least 1847 rooms which is normally a huge, time-consuming task. 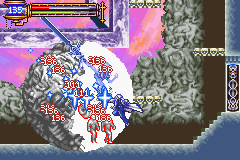 However, in this run, certain abilities are gained that allow Alucard to move at tremendous speed along glitched routes that players in 1997 could not have even dreamed of. While traveling through all those rooms, the author, arukAdo, simultaneously acquires all of the relics, making this an "all relics and best ending" run. Genesis Sonic 3 & Knuckles (World) in 29:51.2 by nitsuja, Upthorn & marzojr. It is worth noting that nitsuja and Upthorn did not directly participate in the creation of this movie; instead, marzojr incorporated several additional tricks in multiple stages and spliced them in for a total improvement of 2:14.31 seconds over his last effort at doing the same. 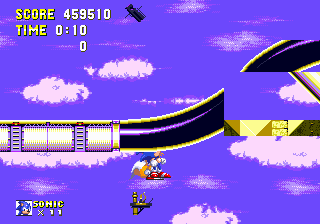 The second YouTube link is to the camhacked HD encode, which attempts to always keep Sonic onscreen and puts HD sprites on top of the background to make the TAS look even better. Camhacked SD downloadables are also available in the Archive collection.